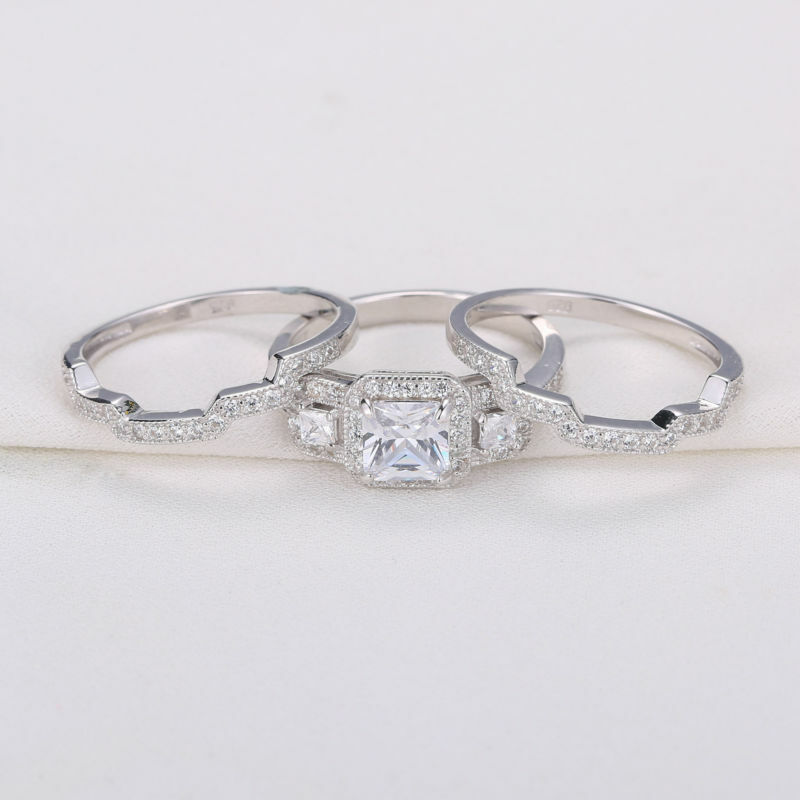 Women's beautiful wedding set.Crafted from 925 Sterling Silver. 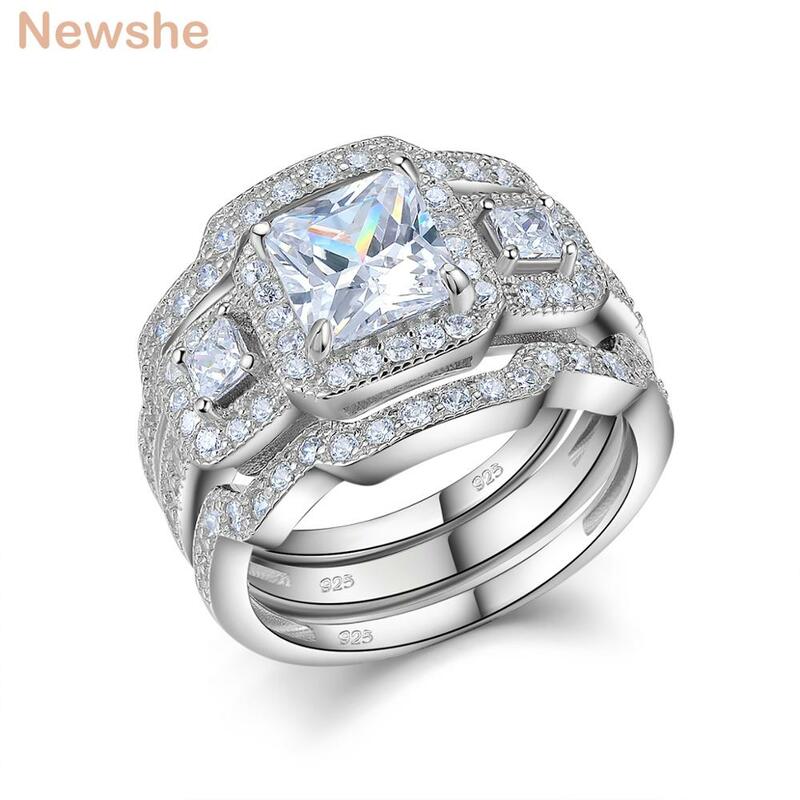 Main ring features an engagement ring with a 6mm*6mm prong set princess cut square center stone surrounded by 42 smaller round stones in a pave setting. 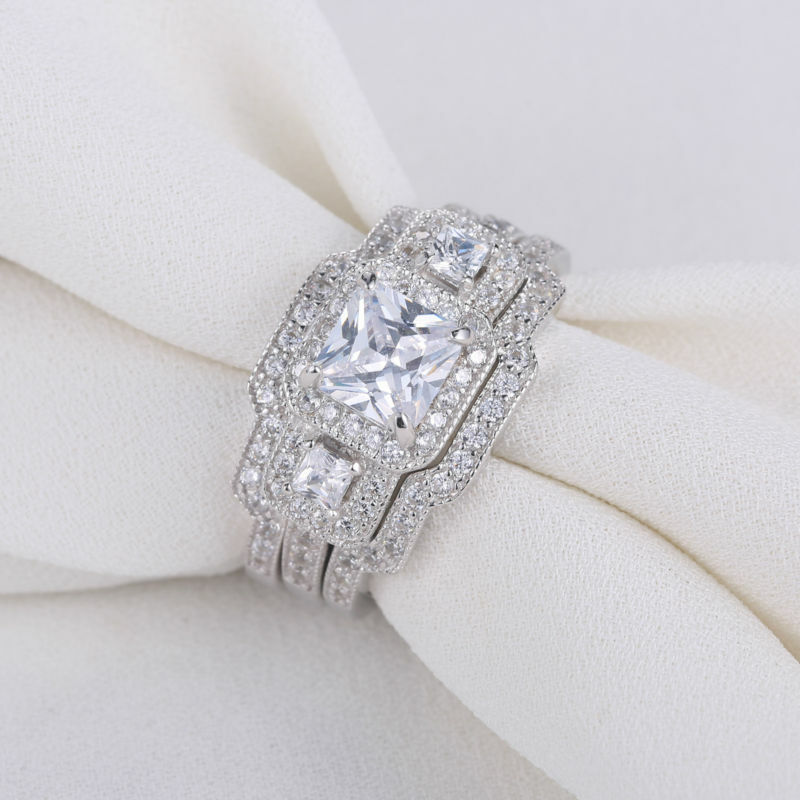 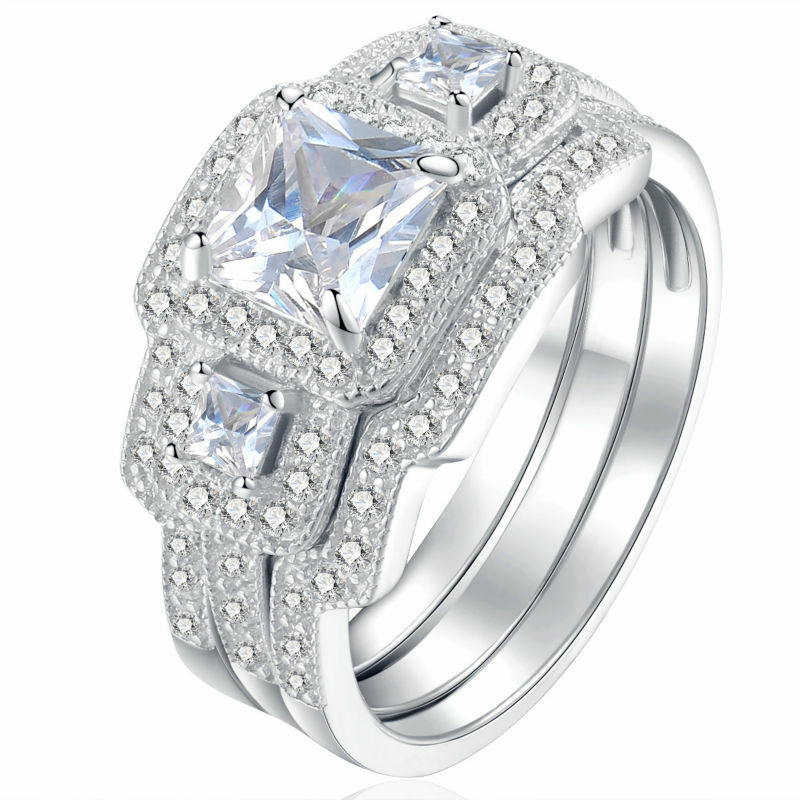 There are 2 matching bands,every band features 20 matching round stones in a pave setting.